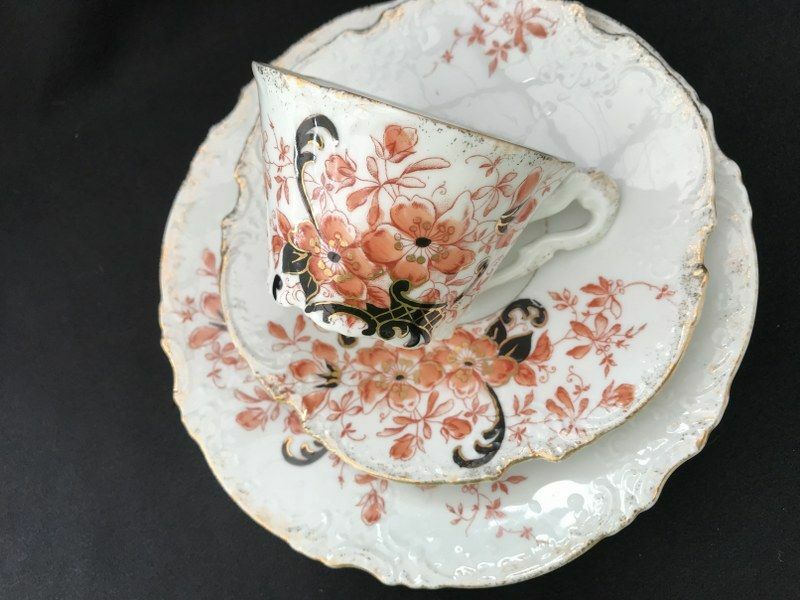 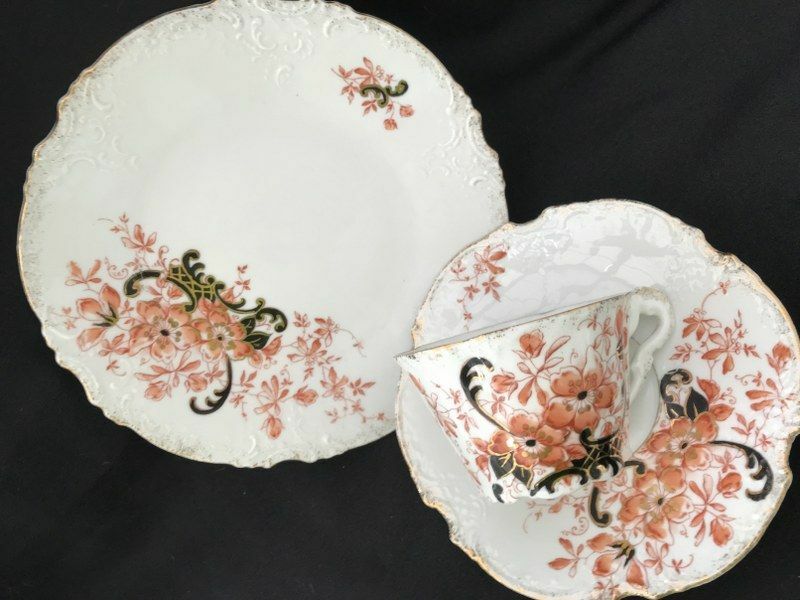 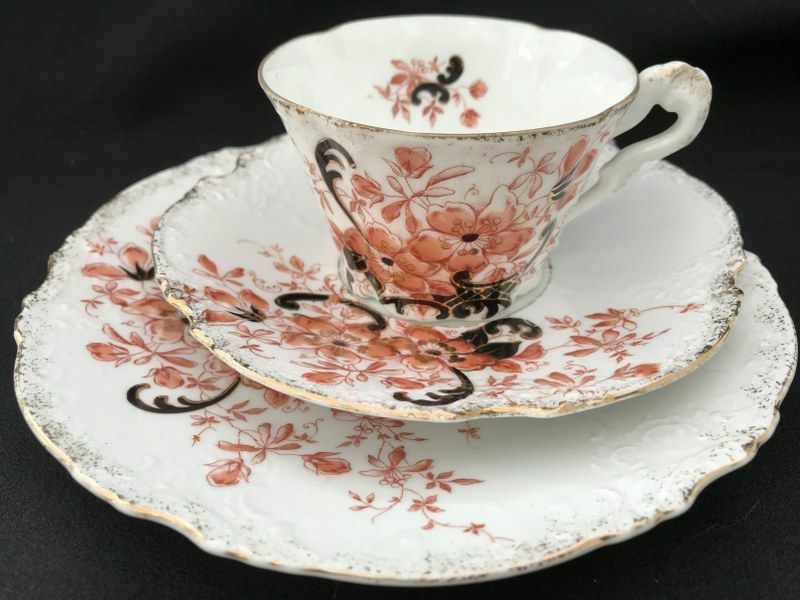 Pretty tea trio possibly by Springer/Epiag by maker unknown.delicately embossed and flutes china with a red and navy floral pattern. 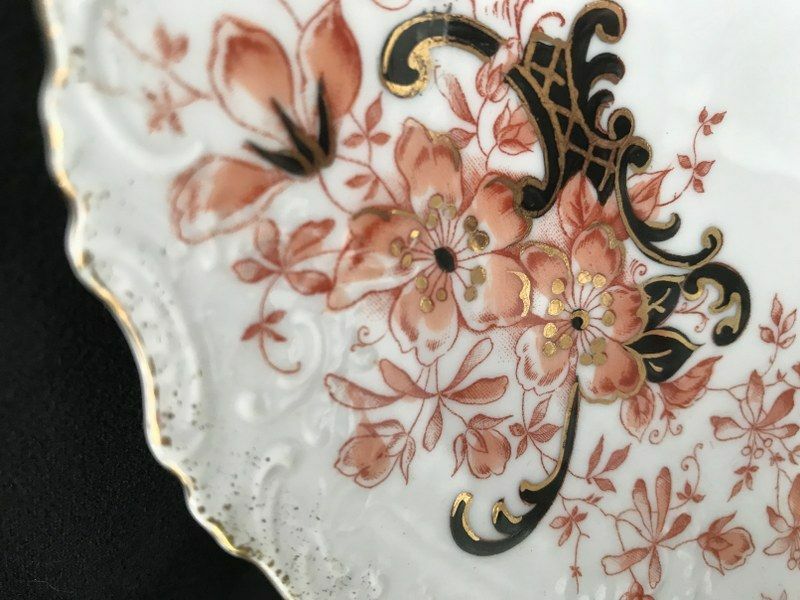 Gilt highlights. 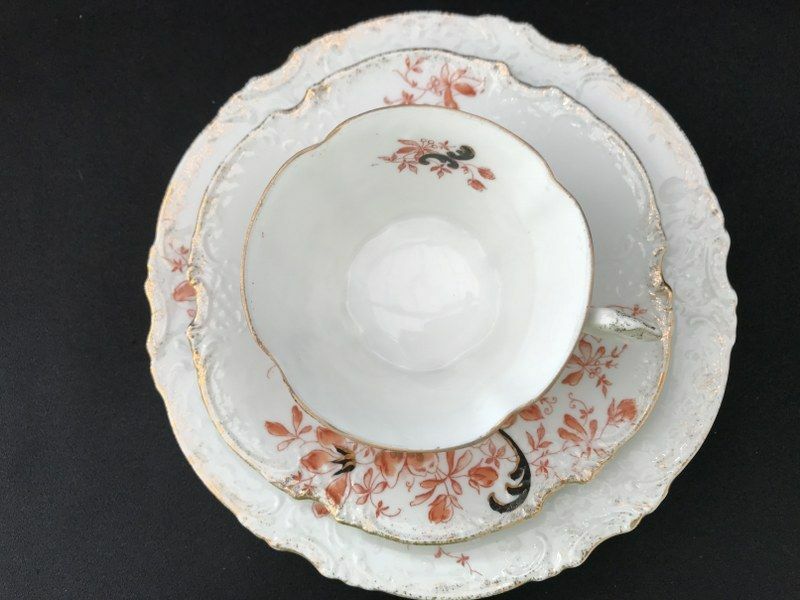 Some slight wear to the gilt and signs of use, general wear.Light and fine china.